Do you need residential locksmith services in Bethlehem, PA? Our locksmiths in Bethlehem, Pennsylvania provide the city’s fastest locksmith service. Not to mention, most affordable. We work 24 hour a day for any type of emergency locksmith service. As a mobile locksmith service, we cover Northampton County, Lehigh County, and surrounding areas. Our talented team is highly trained, professional, and expert in the locksmith industry. 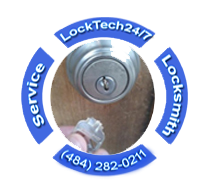 We solve all emergency lock and key problems for residents in Bethlehem, PA.
LockTech24/7 is a Lehigh Valley based locksmith company. We want to help you maximize your home’s security. This is our goal because we care about our customers and the general safety of the area that we call home. By repairing so many burglary attempts in the Lehigh Valley, we commit to put your safety in the front line. Needless to say that we will try help to prevent such attempts in the future. Your Bethlehem residential locksmith is literaly around the corner. We understand the frustration when you lock yourself out. This is the reason why our locksmiths operate 24-7. We will take your call at any time, regardless the time or the day. Our locksmiths are also working during weekends and holidays, with no extra charge, of course. We can get to your location quickly because we are local locksmiths Our friendly mobile locksmiths available when you need us most. 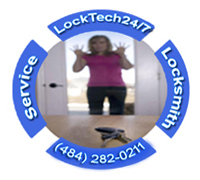 Perhaps, because we’re mobile locksmiths, you wonder if we can provide big residential locksmith service, as a small. You don’t need to be worry! Our professional locksmiths can help to unlock a main door to your home, as well as to unlock bedroom door in your home. Specializing in all type of residential locks, we can re-key existing locks on your doors, as well as repair a broken lock, or replace locks in order to upgrade your security. We are the most reliable locksmith in Bethlehem, PA. When you quickly call us, we can prove you that this is the case. You will see everything you need for your home is right here, in our mobile workshop. From door knobs and deadbolts to keypad locks and high security locks. We are here to solve your key and lock problem. With this in mind, we are here to help you in the event of an emergency situation. You can also schedule appointment. Don’t hesitate to call us, so that you can take advantage of our progressive solutions for your beautiful home. In fact, we’re so convinced you’ll be completely satisfied with our performance that we are offering a 100% customer satisfaction guarantee. Alongside with our customer satisfaction program, we also offer ninety days guarantee on labor and products. If for any reason, you’re not happy with our service, we will make it right. You came back to your home from a long trip. You put your luggage on the ground looking for your keys. Just now it hits you, you forgot your keys at home. 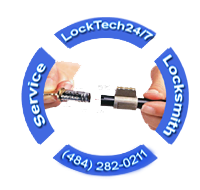 LockTech24/7 provides 24/7 emergency lock out services in Bethlehem and the entire Lehigh Valley, PA. If you’re locked out of your own home right now, we’re here to help! You don’t need to wait much longer, call us now and let our lock out experts to get you back home fast and safe. Emergency locksmith situations happen more often than you think. Most of our customers have been locked out of the house several times, previously. LET US UNLOCK YOUR DAY! Our local locksmith company is still the best locksmith in this region, with the best prices for lockout and locksmith service in general. Our reputation for excellence is unsurpassed and our availability means we are always ready to provide a quick response to every call. You’ve signed on a contract for your new home. In that moment you got your new / old house keys. Do you know who have the possession to your keys? It needless to say, you must consider calling us to re-key the locks on your doors! Rekeying normally refers to the ability to change a lock so that a different key may operate it, and the old key will no longer works. In the event of getting ownership on your new home, stop worrying and simply call us. Calling us for re-keying your locks is your first line of defense against home invasion. When you sure that only you and your relatives hold the keys to your home, help to keep your house safe and secure. Call LockTech24/7 today to secure your new home. Re-key your existing locks, and protect your loved ones and most valuable assets with a peace of mind! Are you a property owner, or realtor agent in Bethlehem PA? Is your tenant stopped paying rent, and refuses to leave your property? Perhaps, you already filed for eviction in the court house, and you need to schedule time and date with a professsional locksmith. 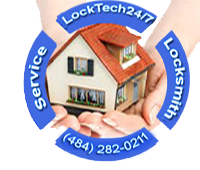 It might be the time to replace the locks in your house..
Having LockTech24/7 locksmith to take care of your eviction situation is a better choice because as a professional locksmith company, we helped many residential property owners, and realtor agents in house evictions, when also the cops were staying keeping everything safe until the job is done properly. 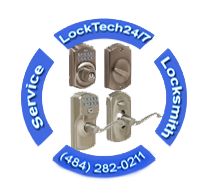 LockTech24/7 is the only residential locksmith company in your first choice of call in Bethlehem, Pennsylvania. We believe in being fast, upfront and honest with our clients. We think on your budget, which means we will give you a fair quote. When a key breaks inside the lock, it can be a very stressful. Especially, if half of it ends up stuck deep in the cylinder lock. When this happens, it is highly recommended to call us to extract the broken key. Please avoid trying to do it on your own because if you don’t have the proper tools, you can push it in even deeper. Many people think they are saving money by attempting to extract the key and end up shoving the key deeper and even sometimes bending the lock pins or breaking the springs because the pressure. In addition, broken keys are not always possible to remove and in some cases destructive entry should be used to enter the property. Keypad lock is referred to key-less entry by entering a combination of 5 digits pin to operate the lock. You can find keypad electronic locks usually in residential and commercial properties. We can install keypad electronic lock on your door, easily. With electronic keypad lock, key is no longer needed. As long as you don’t forget your pin number, and don’t forget to replace the battery. Usually, keypad locks takes a single 9-Volt battery that need to be replaced every every 2-3 years. 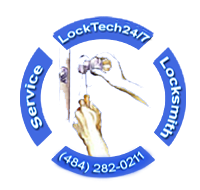 LockTech24/7 is here to assist you installing any type of keypad lock. Whether you have a standard keypad lock or wi-fi electronic lock, we’re able to help. Also, whether it’s a deadbolt, door knob, or lever keypad lock, we can definitely help.